LAID - Legally Armed In Detroit (Michigan CPL CCW Classes): Michigan CPL Class FAQ: Must I Disclose My CPL Status If I Am A Passenger In A Vehicle? 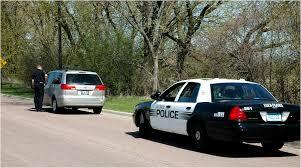 Michigan CPL Class FAQ: Must I Disclose My CPL Status If I Am A Passenger In A Vehicle? Q: If I am in a friend's car and he gets pulled over am I still required to tell the officer I am a CPL holder if he does not speak to me? A: If you are in a friend's car when the vehicle is stopped, my opinion is that both you and your friend are stopped. In fact, everybody in the car is stopped. As such, any CPL-holders in the car who are carrying a concealed pistol or TASER must immediately disclose their license and their firearm/TASER. Source: MCL 28.425f: Concealed pistol license; possession; disclosure to peace officer; violation; penalty; notice to department and issuing board; seizure; forfeiture; "peace officer" defined. (1) An individual who is licensed under this act to carry a concealed pistol shall have his or her license to carry that pistol in his or her possession at all times he or she is carrying a concealed pistol or a portable device that uses electro-muscular disruption technology. (a) His or her license to carry a concealed pistol. (b) His or her driver license or Michigan personal identification card. (3) An individual licensed under this act to carry a concealed pistol and who is carrying a concealed pistol or a portable device that uses electro-muscular disruption technology and who is stopped by a peace officer shall immediately disclose to the peace officer that he or she is carrying a pistol or a portable device that uses electro-muscular disruption technology concealed upon his or her person or in his or her vehicle. Meme: Ladies, Please Take A CCW Class Now!